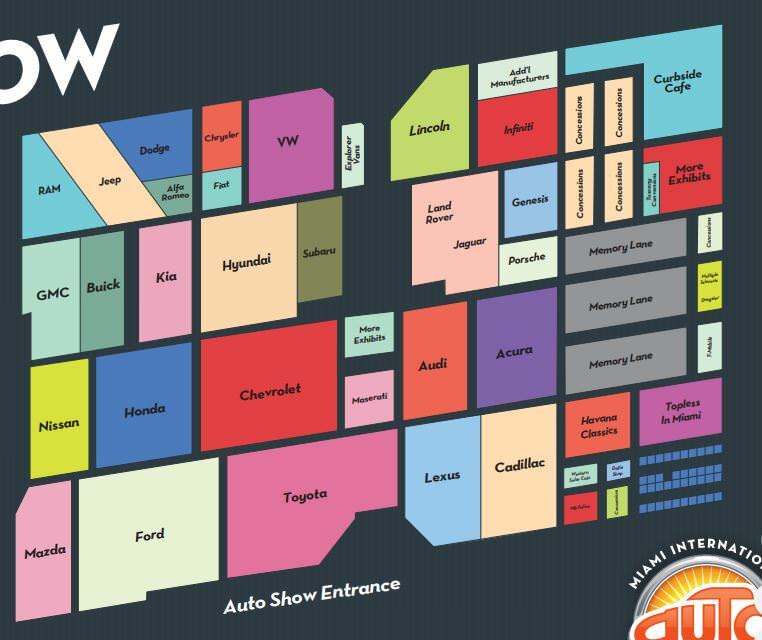 Since the Auto Show section is locked (not sure why so many sections are locked around here), I'm posting this here. So over the weekend, I was able to go to the Miami Auto show with some friends and family. It's the first time in 2 years that they've had the show, because last year's was cancelled just days before it was to start due to Hurricane Irma. I didn't get any pictures of it, but it was also one of the first events with the renovated convention center opened -- they left only the open event space and tore down the entire facade/lobby areas on both sides of the building and then rebuilt it all. I'll also point out that it was the last day of the show, so it's likely that traffic was busier last weekend. The way we went about the show was to come in by the Ford display and go clockwise around the space, generally staying in the outer-most pathway, and wandering in and out depending on the display. So with that said, we came into the Lincoln display from the left side on that graphic (from VW/Explorer vans area). In that gap between the Explorer vans and Lincoln, there are some columns. I think there was a wall toward the rear side of the display area as well. I did not like how they arranged their display. They had the new Nautilus front and center, encircled within what I'll call the "Lincoln lounge" - an area with a few seats within a set of round "walls" (which were just the punched out Lincoln star "fencing". 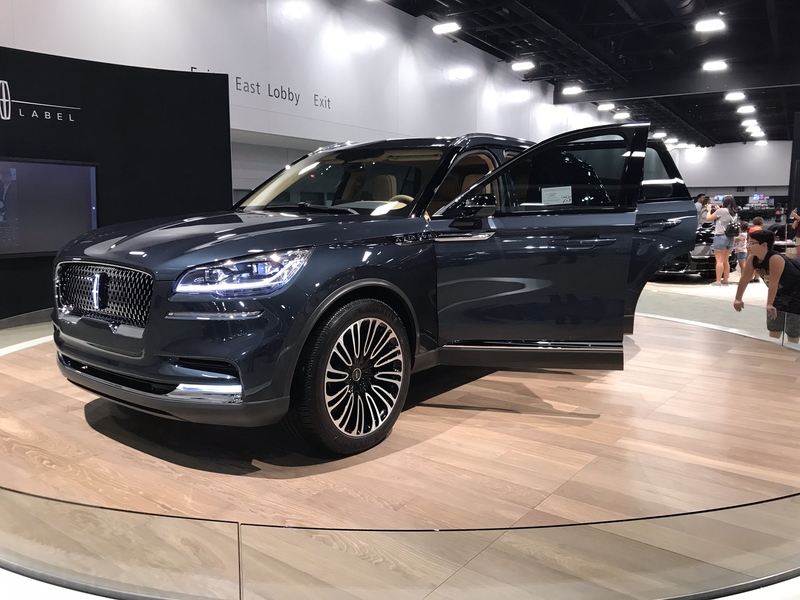 They had the 2019 MKC out on the corner (the Infiniti/Land Rover corner), and a Continental and MKZ were behind it, stretching toward that "additional manufacturers" area. 2 Navigators (including a Destination BL model) were on the opposite side on the Explorer Vans side. The Aviator Preview - perhaps the most important model they could show - was placed in the back of the display on a turntable with a "Black Label" sign and video board behind it. I understand the idea - you pull people into the display by putting the "big thing" at the back, and luckily people did see it, and were walking back to the display (this wasn't the case for all displays there - some brands did this, and it was a ghost town, with just the presenter there with the car), but the way they had it set up, at least with the direction we came from, I didn't know the Aviator was there until I got right in front of the booth. From a distance I looked at the Lincoln display and got really disappointed that it wouldn't be there, only to see it was in fact there. I didn't mind the "lounge" part of the display, even though it was see through, I just felt it kind of blocked the view/attention of the Aviator. I'm doing my best to describe without pictures, sorry! I realize it was the "preview" and it will look a bit better than the final production model, but this car looked fantastic. I absolutely loved it. It was clean and athletic. Simply designed and elegant. It definitely has a Range Rover vibe to it, which is a great thing (my mom kept comparing it to the Range Rover Sport across the aisle. I will say, the back was almost a bit too clean, but that'll likely change in production with more production-oriented pieces. It'll also be interesting to see how it looks in base trims. I wonder if it'll look too plain. But in Black Label trim, it looks awesome. My mom has been interested in it, and wants it to be out already.....I'm looking forward to more details when it's unveiled - especially power figures. They had a Range Rover Sport SVR there with 575-hp for $113,000. I'm guessing Aviator will have at least 500 (400 from the 3.0 + 100 electric?) for significantly less. Reception from other people seemed good too....I think they have a hit on their hands, finally one they've needed. 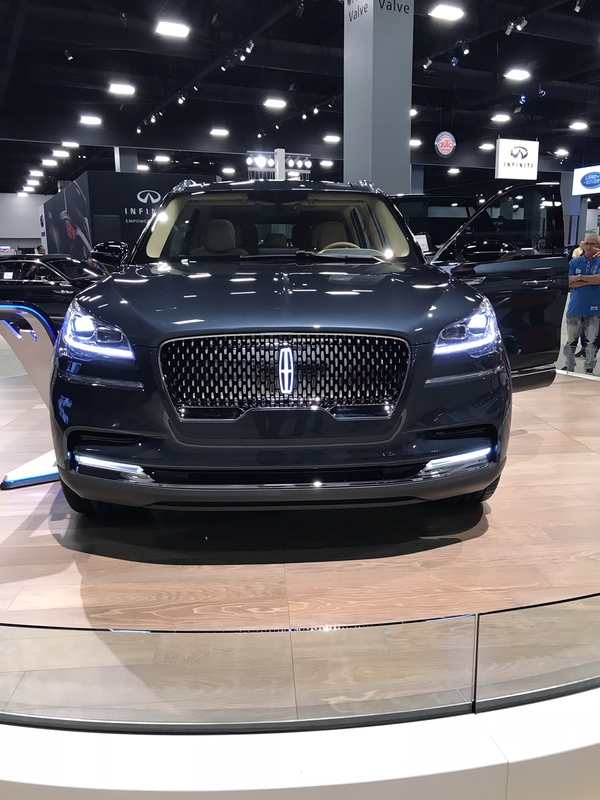 -The Ford display was pathetic because of the lack of product. You walk through and it's like - oh look, the same stuff as the last three years. I usually spend a lot of time in the Ford display, but aside from Ranger, we just walked through - there was nothing to see. Their 'big display' was a Raptor. They had a Ranger XLT supercab there, behind a barrier. Still can't get in it. They didn't even have pricing info on the stand. They should've had a loaded model there. 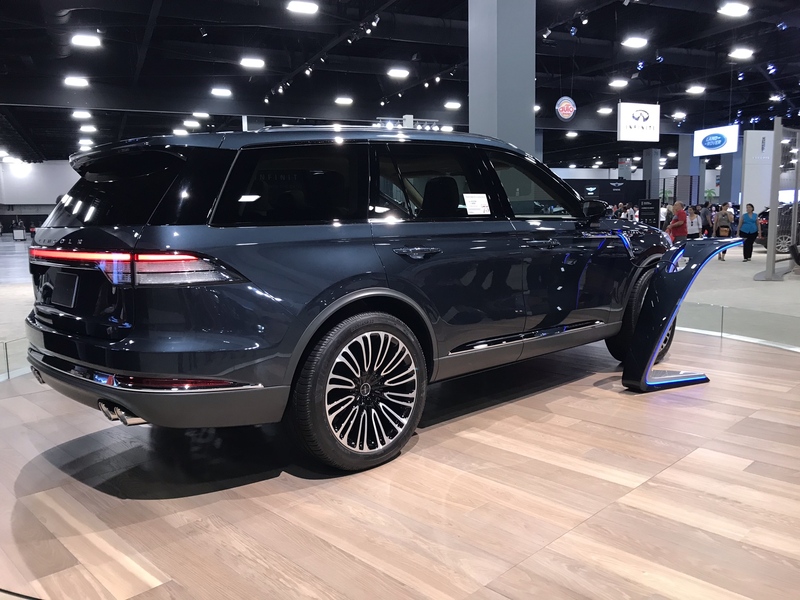 An even more glaring omission - the 2019 Edge in any trim. This is like the one new vehicle they have for this year, and they didn't have a single one - not even behind a barrier. They had 2 or 3 2018 Edges. -The new A8L was awesome inside - extremely comfortable seats. 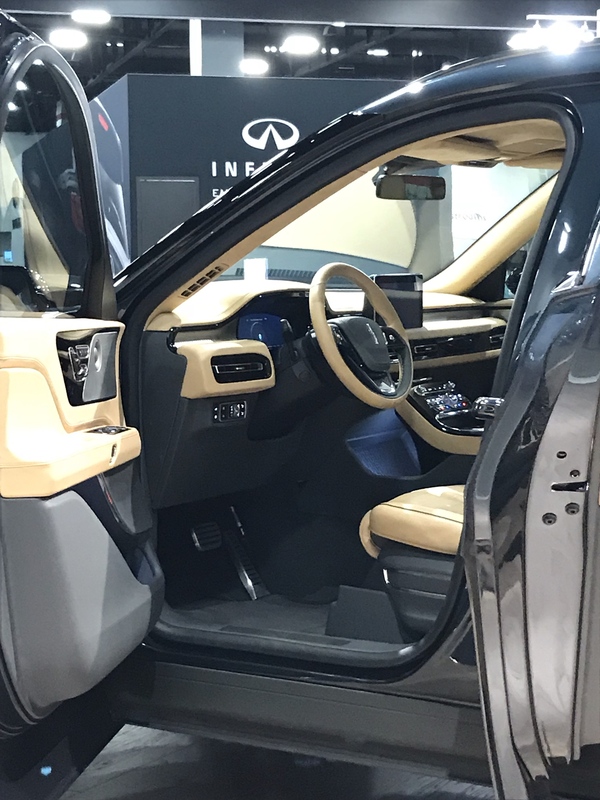 The Q8, while I'm not big on it's exterior design, had a nice interior....and it doesn't have a D-pillar - just a C-pillar - there's no pillar before the 3rd window, it's just glass. -Silvererra - I wanted to like the front of the new Sierra, but something just seemed off about it. Also got to play with the trick tailgate of the Sierra - it definitely has some useful functions, and I'll give them credit for coming up with something new, but it was a LOT of moving parts. Seemed like a dirt haven to me. The Silverado....eek the corner fins on the front end look just as odd in person as photos. The power up/down tailgate was neat, though gimmicky. The interior of both - major disappointment. It barely looks like they changed it from the last one, and that one wasn't good looking either. Materials didn't seem all that good either (these were High Country and Denali models). -Blazer - I actually thought it looked a lot better in person than pictures, especially the headlight arrangement - they darkened them enough so they don't look obnoxious.....still don't like that split look with the headlights down low, but this is one of the best implementations I've seen. The back is another story. That bumper panel is just horrible. This was an LTZ model, so it was body color (lower trims, that cutout is black plastic), but the way it fits (intentionally), it looks like the pieces don't fit together properly.....there's a recess, but it's not enough of one to look like it's on purpose. The vehicle also seemed low too. -Camaro SS - the regular version refresh doesn't look bad, but the SS.....ugh it looks horrible. My buddy and several other people said why is the badge there? -XT4 - I actually preferred the clear taillights to the red ones. The interior had some cheap parts, but overall was nice. It looks better in person than in pictures. I think it'll sell well. -CT6 - They had the refreshed CT6 there - I didn't sit in it, but from the outside it looked nice. Overall, it was a nice show - I always enjoy seeing the new models. Some brands (BMW, Mercedes) were missing, and they didn't have the high-end section this year (they usually have a section of Bugatti, Ferrari, Bentley, Lamborghini), but you can't sit in them anyway, and they're all over the roads, so I didn't miss that much. 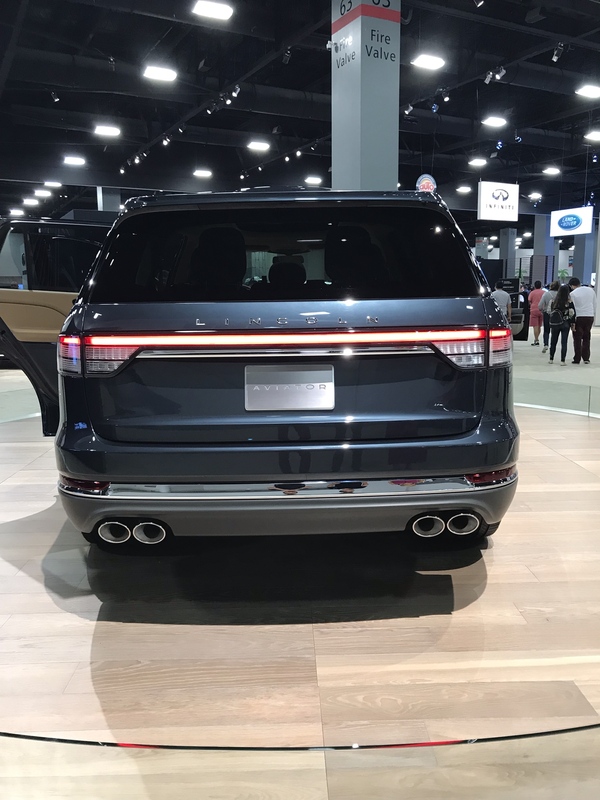 I look forward to next year (and the smaller Fort Lauderdale show in April after the major ones) when Ford has some product to actually show. hbmf3, joseodiaga4, glyphics and 4 others like this. 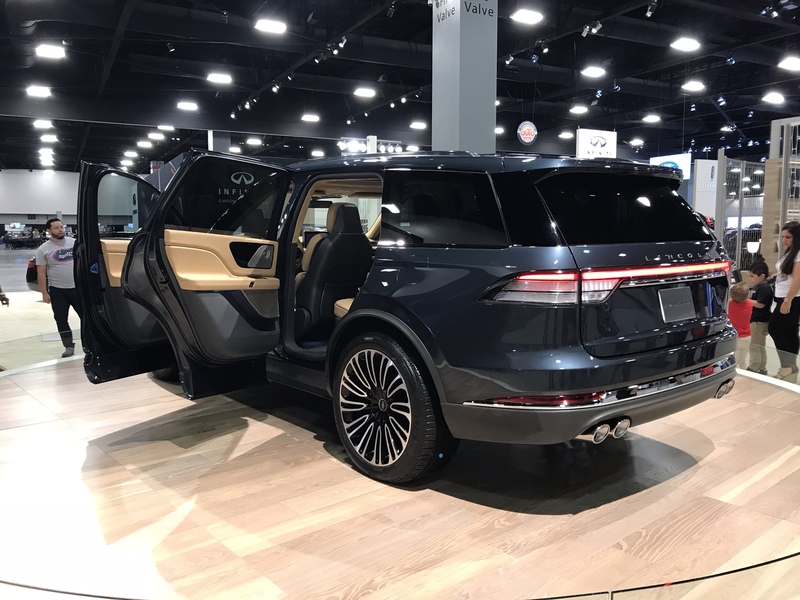 Navigator is currently the hottest big luxury SUV in NA. I don't see how Aviator won't join it as being the hottest. Explorer will be just as hot I think. I can hardly wait for more info on the Aviator. This will be such an interesting vehicle! Really love the Aviator Preview. 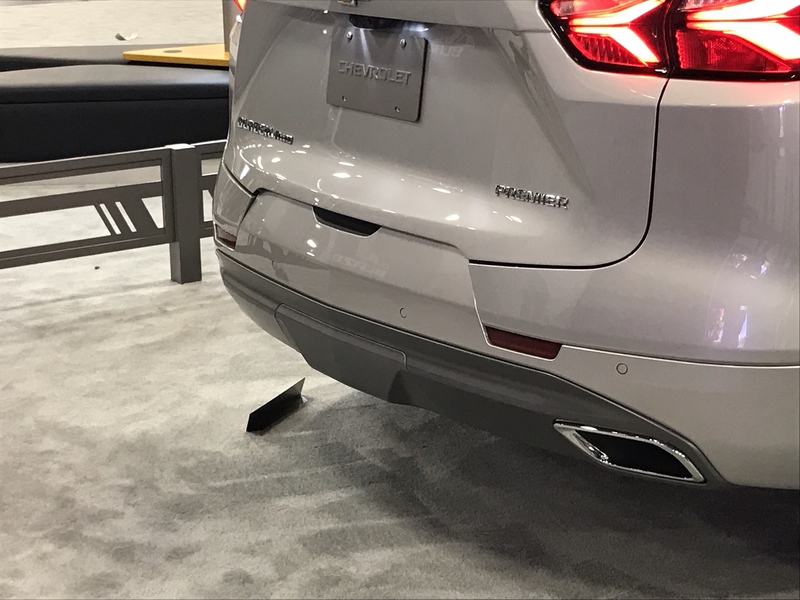 The biggest thing I hope carries over to production is the quad tip exhaust, I think like looks so much better than the "tips" integrated into bumpers we have now. 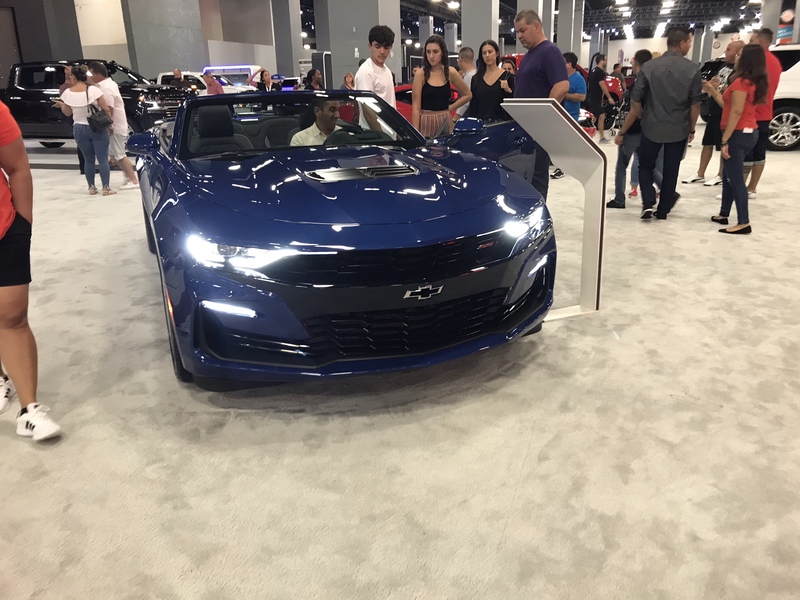 Also yeah, Chevy really screwed the pooch on the 2019 Camaro SS. Nice job rmc523; thanks to you for looking out for us. The Aviator looks like it is destined to be a great success for Lincoln. If I were in the market for a SUV, this would be it! Thanks for the report. The Aviator looks soo beautiful....! I’m in love with this car. I hope the production version keep all the style and design details of the concept. I believe your wish will become reality. 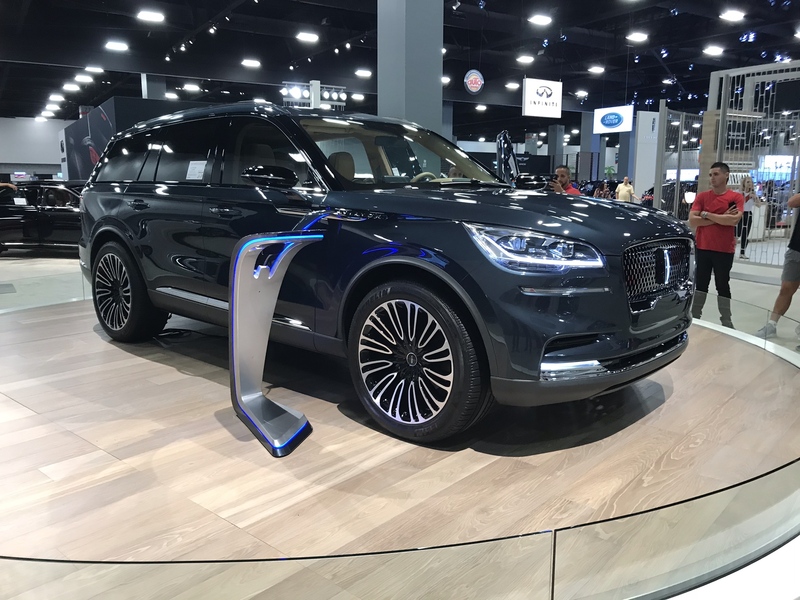 After seeing the hideous and more-expensive BMW X7, I can say the Aviator will be at the top of the list in its class as far as looks are concerned.